Everyone is Invited to Save at JBF! ANYONE can sell and EVERYONE can shop (and save) with Just Between Friends! Team Members shop first (the more you volunteer, the earlier you shop), then Consignors, then Community Presales. There are several different ways to shop early, so read on for complete details. The sale opens to the public on Friday, March 15th and runs through Sunday, March 17th. It takes a small army of moms and dads to put on a sale the magnitude of ours. Helping at the sale directly contributes to the success of the event AND is the easiest way to maximize your profits. 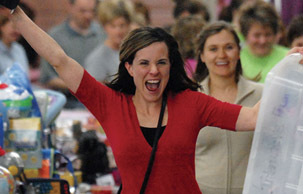 Volunteers earn an extra 10% on sold items for volunteering a total of 4 hours + you shop first. 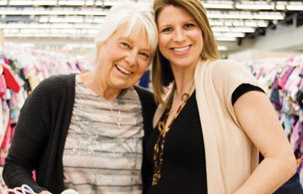 The more you volunteer, the earlier you shop. *Sorry, NO Children allowed during the presales except for nursing infants and children 12 yrs and older using a friend pass. Stollers are allowed. 6pm-8pm: Volunteer + 3 Friends or Family Members (children welcome)! Consignor and Volunteer passes will be distributed at consignor drop off. Are you pregnant, adopting or fostering your first child OR is that first child/grandchild under one year of age? Shop the best selection of infant gear, clothing and accessories before we open to the public, request up to 2 tickets HERE. THANK YOU for taking care of our communities children! Stock up on everything you need for your classroom - books, puzzles games and so much more! Grab a ticket for you HERE. We are thankful for the service and sacrifice your family makes everyday! Join us as invited guest to shop the needs for your growing family! Grab a ticket for you HERE. *Sorry, NO Children allowed during the presales except for nursing infants and children 12 yrs and older on a purchased ticket. Stollers are allowed. This is one event you cannot afford to miss! Everyone is invited to shop the Just Between Friends sale at the Wayne County Fairgrouds in Richmond. Admission of $2 per adult is charged on the first day ONLY however, you can get in FREE by claiming your ticket HERE. For your convenience, we accept cash, VISA, M/C, AMEX and Discover. Shopping bags are available for your use and we have a Hold Area if your arms get full. 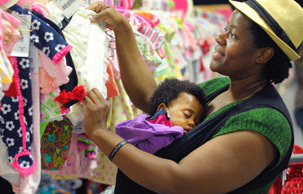 Strollers and kiddos welcomed all public sale days. Sunday, March 17th | 9am-1pm - 50% off items without a star on the tag!